Windows 10 have an auto-tuning feature which tries to dynamically adjust the receive buffer size for transmission and latency of the link. In-fact this feature is present in all Modern Operating systems including Windows 10. So, its a Necessary Feature all together as it manages and adjusts Receive buffer size dynamically. How to Check if Auto Tuning Feature is Enabled ? 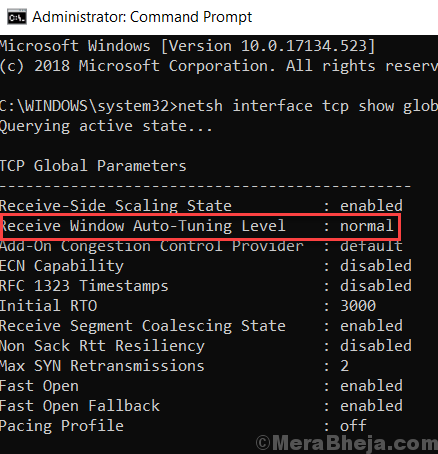 1 – Open Command Prompt as admin by Searching cmd in Windows 10 Search box and then right clicking on the cmd icon and clicking on Run as Administrator. 2 – Now, run the following command given below. 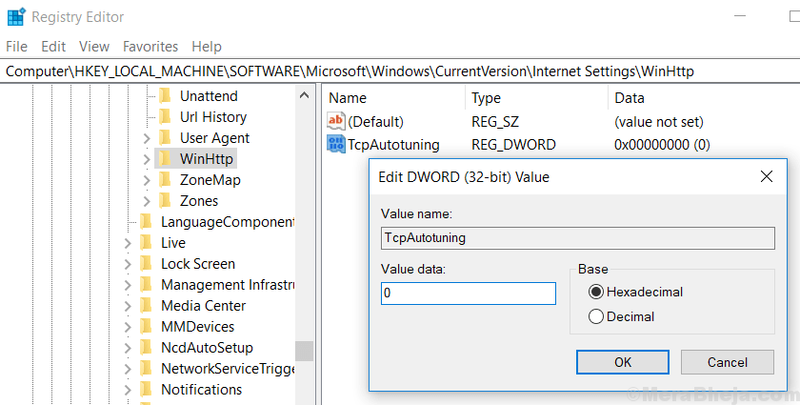 3 – In the output if Receive Windows Auto Tuning Level says Normal, then the Auto tuning Feature is enabled on your PC. 1] Press Windows key + R together. 2] Write Regedit and hit enter to Open registry editor. 3] Browse to the following location Given below. 5 ] Now, Name this key TcpAutotuning . 6 ] Double click on it and Edit Value data to 0. 4 ] Now, Right click anywhere on right side and create New -> DWORD (32-bit) Value if it does not exists.